A new RV is nice, but is it really cost-effective? While the RV industry aims to satisfy the needs of most of the people most of the time, no matter how many new RVs you look at, there will be something lacking or not to your liking in every single one. So, why not buy a used RV and remodel it to your specific tastes? The cost savings will be significant, and the satisfaction that you have exactly what you want will make it even better! 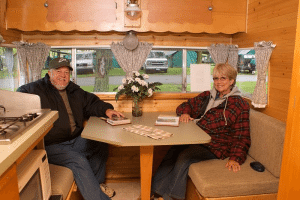 Here are 10 reasons remodeling an RV makes sense (just in case the money savings alone didn’t catch your attention). Want to see how I remodeled 2 RVs myself?